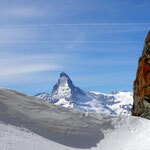 Thanks to the well developed train and cable car system throughout Switzerland, you can reach the high mountains in the area of Zermatt and Saas Fee pretty soon. 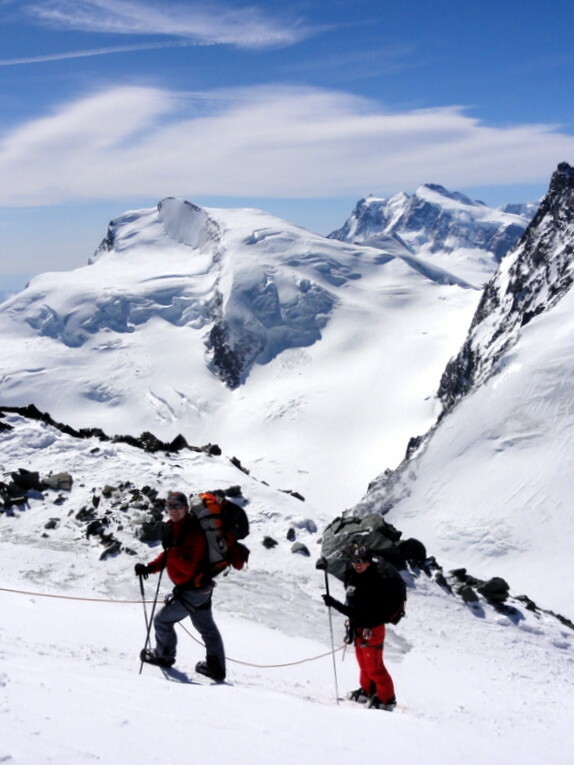 We took advantage of the good weather and snow conditions and climb on the first day the 4000 metre high peak Allalinhorn, just above Saas Fee. 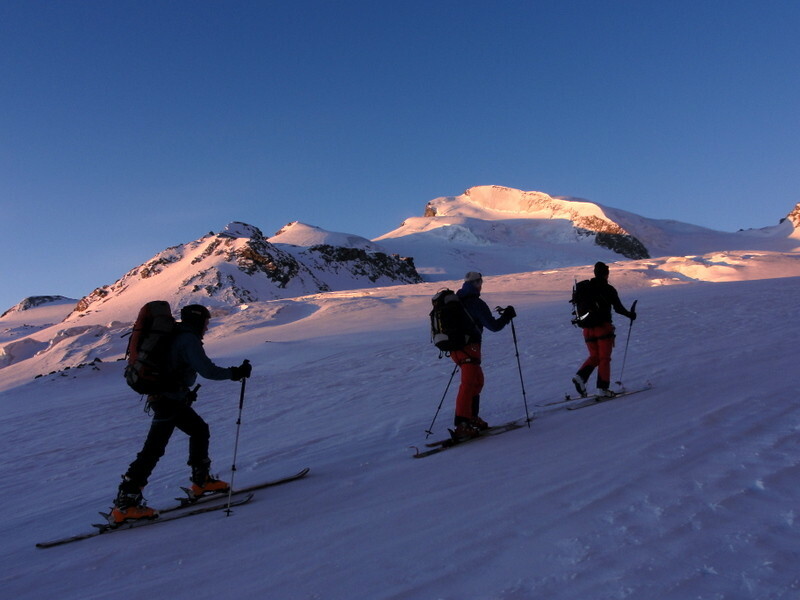 Skiing down the glacier we reached the mountain hut Britannia. 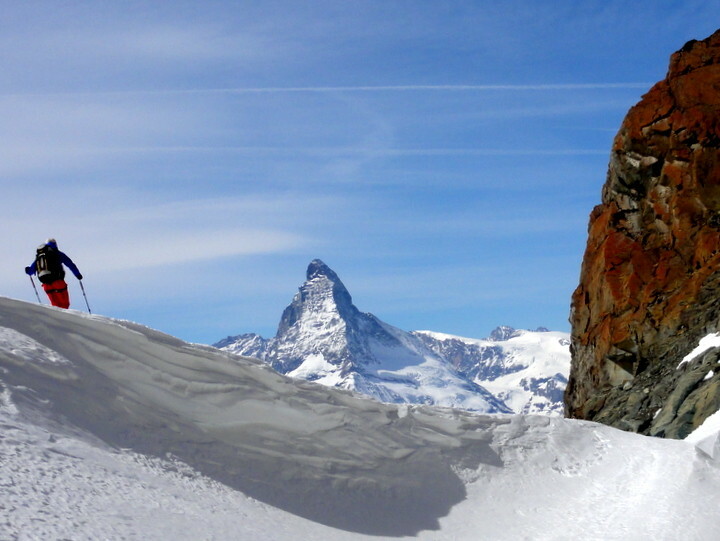 On the next day we walked with skis to the almost 4200 metre high peak Strahlhorn, from where you can ski down to the ski area of Zermatt while the Matterhorn is dominating the view.